Writing skills are extremely important for proper education and career development. It can be challenging to boost text composing skills if you are not a talented author by nature. Besides, if you learn a foreign language as a second one, it will be necessary for you to polish not only your pronunciation and grammar but writing skills in a new language as well. How to Improve Your Writing Skills in a Foreign Language? 1. Read more literature in a new language. 3. See films with subtitles in a particular language only. 4. Look for online classes with a good tutor. 5. Find pen-friends for constant practice. How to Improve Your Writing Skills in General? 1. Read more classic literature. 3. Have practice every day. 4. Ask friends for help. 5. Consult your professor or tutor. One may say that it is complicated to learn new languages, especially if you need to polish writing skills and pronunciation at the same time. Excellent writing skills are important even in your native language, and if you plan to move to another country, it is vital to care about your text composing skills in another language. It is essential to read more literature in a new language, especially classic samples. This approach helps to widen the vocabulary, memorize different grammar constructions, and learn the use of different tenses in a new language. Therefore, it is necessary to read original books in the foreign language. 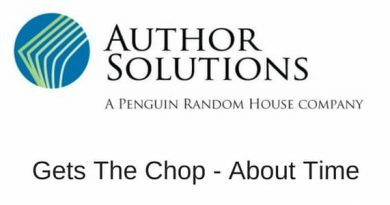 The best way to improve your writing skills quickly is to read foreign literature without adaptation. However, you should have already had a high enough level of knowledge of a particular language to do it. Practice, practice, and only practice may give you a good boost in the development of your writing skills in a foreign language. It is necessary to write more if you want to improve your writing skills in another language. It is impossible to imagine any progress in this field without practice. Therefore, don’t waste your time for different easy techniques, practice every day for at least 20 minutes, and you will see progress soon. If you need to polish your writing skills in a foreign language, films with subtitles in this very language will be very helpful. One may ask how it works if you don’t need to write anything, just watch a film. In this case, subtitles are necessary because you will train to listen and read at the same time, and these aspects are also significant for text creation skills in all languages. So, find your favorite films with subtitles in a particular language, and start watching them. Online Spanish Classes with a professional tutor via Skype will help you to polish your writing skills in Spanish as soon as possible. If you learn any other language, you also need online classes because the presence of a good tutor is extremely important for fast progress. This person may answer all the questions vital to you and revise your papers to correct your mistakes. In this case, you will have swift progress in your text composing skills. Therefore, start looking for an experienced tutor to work with. Pen-friends are necessary for you if you want to improve your writing skills in another language. On the one hand, these people may give everyday practice. On the other hand, you may learn a lot of information about the culture of a particular country from them. All in all, it is a beneficial practice that may help you. Also, you may find many new friends from all over the world at specialized sites. Hopefully, all these simple tips and recommendations will help you to develop your writing skills in a foreign language. If you need it, you will have great success with the help of these techniques. If you are not good with words in your native language, you can hardly have brilliant writing skills in another one. Therefore, if you want to be a good author, it is also necessary to polish writing skills in your mother-tongue as well. How to do it? Reading is an integral part of writing. It is necessary to read more if you want to write perfectly. Writing cannot be polished without other aspects. Therefore, read books and articles that help you to polish your style. To upgrade writing skills, you may use different checkers that will help you to get rid of some mistakes in grammar, spelling, and punctuation. It is the quickest and the simplest way to improve your texts, especially if you don’t have enough time to earn all the rules. You may install such checkers as Grammarly to your mobile phone, computer, and browser. In this case, your texts will become better day by day. Constant practice is the key to success. If you don’t like to compose different texts, you will not have any progress. Just write something every day to polish your skills. Otherwise, you will have no results. You may ask your friends to help you, especially if these people are better writers than you are. They may look through your texts and point out the most common mistakes. In addition, if your friends are literate enough, they may revise your works and correct errors in them. Students hate written assignments, but some professors hate them even more because they have to revise a high number of different papers. If you need a truthful review of your problems with text creation, the best way to get it is to turn to your professor who may describe your most common issues. In this case, you will know what moments to polish. These recommendations and techniques will help you to enhance your writing skills in your native language. Further on, you may become a better writer in another language as well as you want. 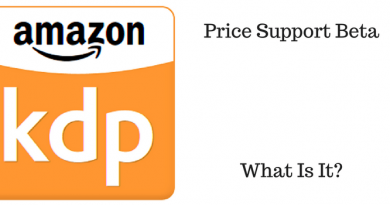 What Is Kindle Direct Publishing Price Support Beta? Why Did My Amazon Reviews Get Deleted From My Book?